School office is open at 7:30am and closes at 4:30pm. School hours are from 8:05-3:20pm. Extended day care program is available 7:00-8:00am and 3:50-6:00pm. 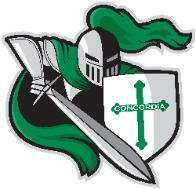 Want to visit Concordia for a tour? Call 504-347-4155 to schedule a tour. the Vision of Concordia Lutheran School is to provide a quality education so our students will realize their calling, as a child of God, grow in their understanding of their Christian faith and become educated, contributing members of our society. The mission of Concordia Lutheran School is based on the Lutheran tradition of educational excellence for our school and community, as we combine spiritual and academic teachings. Our goal is to reinforce the Christian principles taught in the home by our students' parents, as students grow in their understandings of God's Unconditional Love and Grace. Copyright 2018 Concordia Lutheran School-Marrero. All rights reserved.